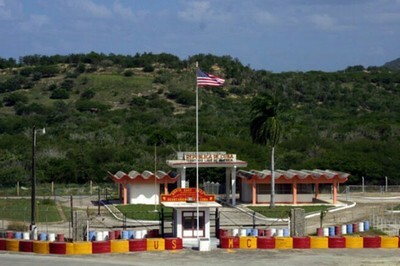 The US Military base at Guantanamo Bay represents a violation of international law, according to the Cuban authorities. The city of Guantanamo, located at the eastern end of Cuba , will host from 18 to 20 November this year the Third International Seminar for Peace and the Abolition of Foreign Military Bases , with an estimated attendance of at least one hundred participants from different parts of the world. This meeting will be “a new show of support for the island in their peaceful struggle for the return of illegal U.S. naval enclave” located in the territory of Guantanamo, reported Granma newspaper. The event is sponsored by the World Peace Council (WPC) and the Cuban Movement for Peace and Sovereignty of the Peoples (MOVPAZ), in coordination with the Cuban Institute of Friendship with the Peoples (ICAP). The provincial delegate of ICAP , Ana Teresa Disotuar Naples, said that final preparations of the meeting and so far have confirmed their attendance of 88 foreign delegates from more than a dozen countries , plus the Cuban delegation . He added that the attendees will participate previously in International Colloquium for the Release of the Cuban Five, unjustly imprisoned in the United States, which will be held in the province of Holguin. The seminar will begin with an exhibition of Cuban posters for peace and against the war in the halls of the Plaza de la Revolución Mariana Grajales , also headquarters of the presentations and discussions of the papers. The event will close with a by performance of a cantata for peace by local artists. Washington occupied the territory in the early twentieth century , under legal instruments imposed on Cuba as a condition of granting formal independence after the withdrawal of Spanish colonial power . Cuban researchers reported recently that in the period between 1959 and 1979 there were a total of 12 000 668 acts of aggression against the island from the Base . This entry was posted in International News and tagged Cuban Institute of Friendship with the Peoples, Cuban Movement for Peace and Sovereignty of the Peoples, Detention Centre, Guantanamo, Guantanamo Bay, US occupation, World Peace Council by tamesidegreens. Bookmark the permalink.